South Western Kenya is the heartland of the Masai. The Maasai are a strongly independent people who still value tradition and ritual as an integral part of their everyday lives. They regard themselves not just as residents of this area but that they are as much a part of the life of the land as the land is part of their lives. Traditionally, the Maasai rarely hunt and living alongside wildlife in harmony is an important part of their beliefs. Lions and Wildebeest play as important a role in their cultural beliefs as their own herds of cattle. This unique co-existence of man and wildlife makes this Maasai land one of the world’s most unique wilderness regions. At the heart of these lands is the Maasai Mara Game Reserve, widely considered to be Africa’s greatest wildlife reserve. 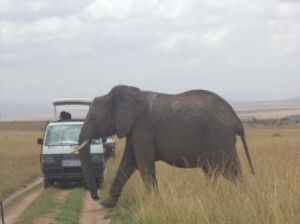 The Mara comprises 200 sq miles of open plains, woodlands and riverine forest. Contiguous with the plains of the Serengeti, the Mara is home to a breathtaking array of life. The vast grassland plains are scattered with herds of Zebra, Giraffe, Gazelle, and Topi. The Acacia forests abound with Birdlife and Monkeys. Elephants and Buffalo wallow in the wide Musiara Swamp. The Mara and Talek rivers are brimming with Hippos and Crocodiles. The Mara has been called the Kingdom of Lions and these regal and powerful hunters dominate these grasslands. 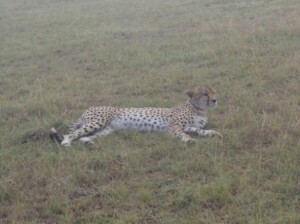 Cheetahs are also a common sight in the Mara, as are Hyena and smaller predators such as Jackals. The Mara is an awesome natural wonder, a place where Maasai warriors share the plains with hunting lions, a place of mighty herds and timeless cycles of life, death and regeneration.Wildlife moves freely in and out of the reserve, and through neighboring Maasai lands. The Loita Hills and the Nguruman Escarpment, both considered sacred to the Maasai, offer high forest trekking opportunities for the adventurous traveller. The Maasai are a strongly independent people who still value tradition and ritual as an integral part of their everyday lives.